Maryland was one of the original 13 colonies and was the 7th state to ratify the constitution. It became a state on April 28, 1788 -- the day of ratification. 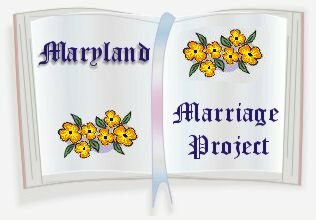 This project will endeavor to provide actual transcriptions of Marriage Applications, and other Marriage Records, as found recorded in the county court house and state archives. We are encouraging these transcriptions to be entire marriage books and/or rolls of microfilm; however, individual records are also accepted. Transcripts will be accepted and files will be placed in the USGenWeb Archives directory of the State and County, where the marriage records were originally recorded. Please send nothing copyrighted, unless you have written permission from the author.